"We must be able to dance who we are, to dance our gender, being free to shift at any moment as we relate to each other." - "Now, for me, everything happens through the body." The two Spanish artists Koldo & Sergio, and their Performing Gender changes. 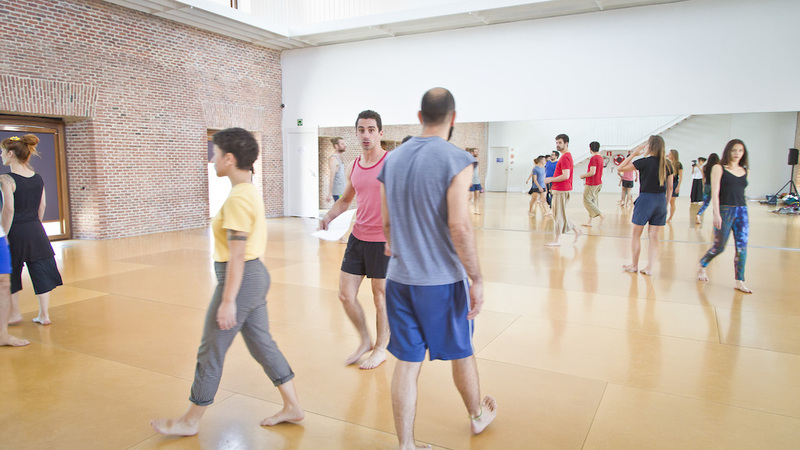 This is a long phone conversation in Spain: the protagonists are Sergio Martínez Vila, dramaturg and Laura Kumin (Paso a 2 partner organisation) in Madrid, speaking together with Koldo Arostegui, dance maker, in Seville. Unfortunately the original sound archive on Sergio’s phone, which was going to be transcribed for subsequent translation, was lost. Laura has reconstructed the conversation with Koldo and Sergio's written replies to the questions: the result is the fascinating story about how Performing Gender has challanged, stimulated and influenced their professional paths. 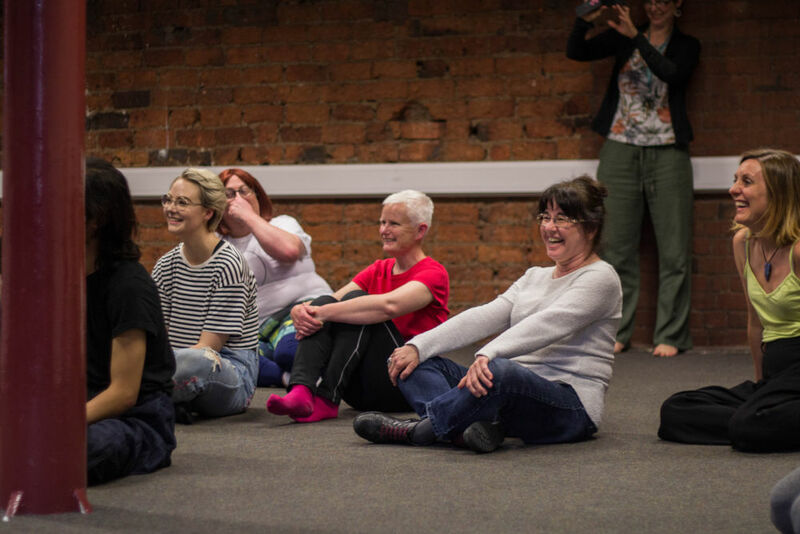 Can you reflect on how the training weeks have enabled you to develop your artistic practice, in particular we are interested in how you feel the training has and is impacting on your movement research & physical exploration of the topics? Any new tools or methodologies you have found yourself developing, using and abusing? Koldo: The training weeks gave us an opportunity to work with many different people and to include their approaches to our own practice. In terms of movement research, they have helped me to redefine my sensibility towards movement, how I understand movement, how movement can express and talk about things, how movement can be the things and how it can transmit ideas, images and sensations in a way spoken language does in a more limited fashion. If sometimes movement can be perceived as elusive while treating concrete topics, I believe is that in this elusiveness we find its richness. It has been very useful to have contact with artists from different disciplines to inspire my movement practice. Sergio: In my case, I had everything to learn during the first phase of the project. Although I had already initiated my dance training beforehand, my approach to this artistic code was based on my intuitive response and not on any specific dance orthodoxy (in any event, I have never been especially orthodox). Everything that I have learned has had a significant impact on me because these were going to be my first tools as a dance dramaturg or dramaturgist. I believe that if I have learned any methodology it has been to stop and use my attention in a more conscious way, as well as reining in the dispersion of my perceptions and thoughts. Accustomed as I was to working in text-based theatre, on my own (with occasional exceptions), it has been a revelation to be at the service of something that I could not control. I have had to learn to empty myself prior to work sessions with the dancers and prepare myself as well in order to approach the process with a clear perspective, and a generous attitude that was open to the unpredictable. Were there moments of real joy, affirmation, pleasure and connection that lead to new ideas and motivations in your practice? Sergio: Moments like these occurred in each of the phases of the project, but perhaps it was my week in Bassano del Grappa that made me feel truly connected to the importance and the values of the project. It might be because Performing Gender came together, in that context, with other European projects that were happening parallel to ours. Everything became larger and, at the same time, more concrete (it was also the only moment in which all of the participating artists and partners shared a common space). The dramaturgical training sessions and spaces for reflection with Peggy Olislaegers (something that all of the dramaturgs in the project greatly needed, since we hadn't shared a common space until then) were the turning or pivot point at which all of the previous questions and ideas began to come together in a structure that made sense. I also felt very connected to the other dramaturgs in Performing Gender and that camaraderie was a real gift. Can you reflect on any moments of real shift and insight that were pivotal to you and your practice? 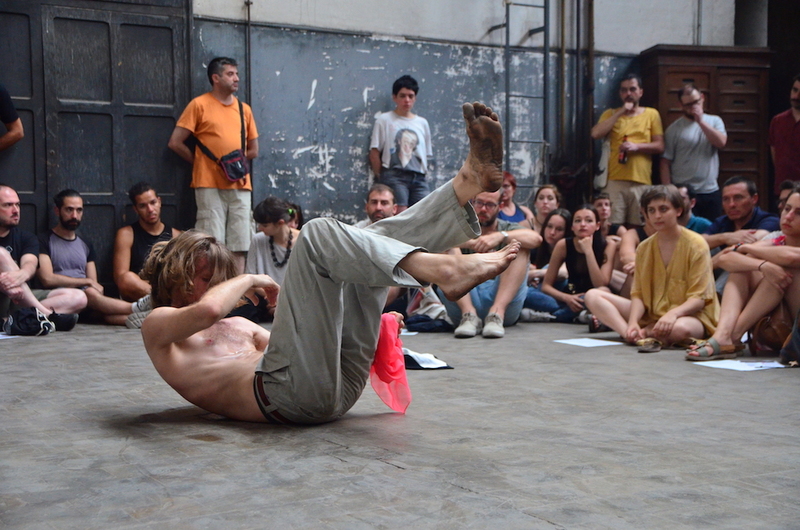 Koldo: The workshop week was magical, perhaps a moment of crystallization of the whole process. A week of trust, calmness and joy. It felt just like the beginning of something. Gender is a personal topic, it touches everyone. Using movement as a tool to navigate, to dive into our identity and reflections has been easy and fluid. Everyone has so much to say, and all of it deserves to be heard. Sergio: The most enlightening thing that Performing Gender has brought me has been the perspective on my previous work as a text-based dramaturg as well as on the work that I would like to do from now on. I didn't know just how much of my artistic life had been brought together by a common theme (gender), nor did I know just how much the language of dance and non-verbal codes were going to nourish this discovery and redirect it. Understanding what motivates me to write and the reasoning behind the topics that fuel me has empowered me greatly as a maker. Performing Gender has planted the first seed for the evolution of my language, which will no longer be the same, and will not be so focused on text and idea-based theatre. Now, for me, everything happens through the body. Can you reflect on moments when you felt most uncomfortable or challenged? Did any of them lead to new learning, insight or practice? And if so, how? Koldo: Through the training program we have been in contact with many people, having different relations and exposing our ideas and work in different contexts. While this has been very challenging and conflictive at some moments, it has helped me to clarify my voice and insight of things. The perspective of leading a workshop for ten dancers during 7 days was at the beginning a bit scary. However, I have realized that when I’m able to set the rules of my work and feel comfortable with the frame and the relations generated in this frame, I feel more secure about using all the tools I have. I have learned it is very important to maintain myself in the "I don't know". It is so important to create the frame where I/we can be together in the "I don’t know". It is without a doubt a fertile ground where I/we can find interest and desire through play and perseverance. To create my frame to work as an artist is as important as whatever outcome or discourse may produce the work. Sergio: The uncomfortable moments I experienced occurred during the first phase of the project. During the Madrid Training Week, however, starting with Poliana Lima and Eva Viera’s workshops but also as a result of seeing how the dance makers developed their “solos” for the first time, I realized that I didn't know who I was. I felt as if I was a foreigner in my own body; my own identity seemed slippery and didn't fit any of the labels that I had been using up until that time. Since then I have connected the concept of “gender” to that of “identity” in a much more precise and painful way (on a personal level). The challenge, if you want to call it that, was realizing that I didn't know anything about gender, or whether I had one, or several, or none….and of course seeing to what extent I had let the same pornographic, restrictive values that shape all of our society shape my life too. I could not have established the creative dialogue that came so naturally with Hannah Buckley had I not thought about this beforehand. What do you think has shifted for you in this year when it comes to learning about gender: can you summarise any themes, insights, connections or threads that have emerged throughout the weeks for you? Is this influencing the kind of research questions you are developing now? Koldo: This year has widened my imagery of the topic. I want to see gender as a material I can play with. As a colour I can paint with, a colour I can be. When I repeat the word play, "to play" has a very concrete relation with movement. We must be able to dance who we are, to dance our gender, being free to shift at any moment as we relate to each other. When we find this inner freedom to be shifting, and shifting we are able to challenge rigid structures of power. Sergio: As I mentioned previously, connecting “gender” with the concept of “identity” (something that is much broader in its full semantic dimension, but perhaps, at the same time, in more urgent need of reevaluating and questioning), was my great discovery during Performing Gender. It generated Hannah's and my shared concern regarding the possible strategies that we could develop in order to go beyond gender and embody that which we truly desired to be. In order to get to this point the research about the “ungendered body”, something that is present not only in world of nature but also in the oldest religious iconography, was especially enriching. What is an ungendered body like? What is an all-encompassing identity with constant potential for change like? How can this be perceived as something that identifies one? Is our identity constructed by the consciousness/coherence of our creative decisions? “Gender” and “identity” are the pillars upon which all of my work is based today. Laura: As a partner, attentive to the processes that took place in Ljubljana, with Koldo and Tea, and in Madrid with Hannah and Sergio, the way the theme of gender and identity opened up to wider spaces of freedom inspired me to reexamine the possibilities of extending this dialogue now and in the future. “Out of the box” became something much more subtle and I find this inspiring. The project focusses on artistic practice as activism. Can you reflect on how you might have developed your practice/thinking/approach in relation to activism? Koldo: Where do I want to show my work? Who is the audience for my work? Does the context where I show my work define some boundaries to my own work? Some limitations? What kind of relations do I produce with my work or while working? To make activism is to be active, to take part, to engage with the topic, to be the topic. This leads to conflict because there is always a reason to be active, a structure doesn’t allow you to move and then it needs to be challenged. We make activism because we need to live better, we need to live with dignity. Which are the alliances i must look for to get this? What is the "we" i am aiming for? Sergio: All of my previous activism was based on discourse, on the exposition of ideas, on word-based philosophical debate. While not wishing to underestimate this way of approaching the denouncement of denigrating situations affecting women throughout the entire world (perhaps the thematic focus of all of my work), this project has inspired me greatly when imagining a space for artistic activism. I believe that what goes through one's head does not necessarily go through one's body as well. It is not always transformed into emotion and does not always produce change. Movement is, perhaps, the greatest tool for activism because it opens spaces through which the movement of others can also flow. This movement does not have to be visible. I feel, in fact, that right now the most revolutionary thing is to do as little as possible or to place the emphasis on that movement that cannot be seen nor reproduced; that invisible alchemy from which all changes emerge. The performative act is connected here with practices of spiritual transcendence and with the crevices of identity. Laura: The idea of movement as the greatest tool for activism, the idea of movement creating space that accommodates and invites others to move through and change resonates with me. It means finding a balance between theory and living as a practice in real time. Are there any other, perhaps unexpected or surprising insights or learning you’ve embraced this year as a result of this project? Sergio: I think that the most surprising thing for me is that Performing Gender has been a bridge or hinge between two very different phases of creative growth that has shed light on the past, the present and the future of my career as a dramaturg. It has been a powerful process of personal discovery whose implications I have only begun to discover. Laura: From the beginning I thought a great deal about what Paso a 2 could specifically offer to the participants in this project. Much of the ideas came about intuitively, and learning to trust that intuition was an important step. The adventure of activism through a creative process invites us to be risk-takers and to trust in the capacity of makers, performers and audiences to explore new territories. In this sense, an important part of our role was to provide safe, inspiring spaces for these explorations and look for ways to make connections between individuals (makers, performers, audiences) and communities. Looking back over the time that has passed since Performing Gender: Dance Makes Differences began, it seems that the landscape is different, although the fundamental issues remain the same. During Performing Gender I have been constantly surprised by how small changes in thinking and relationships with others effect and reflect changes that are fundamentally much larger, and how an accumulation of small changes can transform a context over time. Certainly, as we come to the end of our two years, I can already see how this project has contributed to positive change for so many of the participants, who, in turn, interact with their communities. This is reaffirming and inspires me when thinking about the future.